Naspers, which also owns around a sixth of India's biggest internet firm, Flipkart, is expected to own around 36% in MakeMyTrip, making it the single largest shareholder of the country's top OTA. Naspers had also struck the last big consolidation move in the OTA business when it acquired the country's top bus ticketing venture redBus, three years ago. The latest deal will give MakeMyTrip better access to fast growing travel segments such as hotel booking and bus ticketing through ibibo Group's brands goibibo and redBus. MakeMyTrip, which also offers booking of domestic and outbound hotels besides buses, has a much stronger position in the air ticketing business. "The combination will bring together a bouquet of leading consumer travel brands, including MakeMyTrip, goibibo, redBus, Ryde and Rightstay, which together processed 34.1 million transactions during FY2016," MakeMyTrip, which went public on NASDAQ in 2010, said. 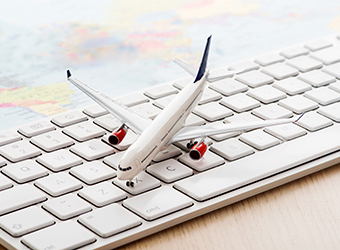 "We expect this deal to create an even more scalable business with the expertise to transform the booking experience for Indian travellers," said Deep Kalra, chairman and group chief executive of MakeMyTrip.